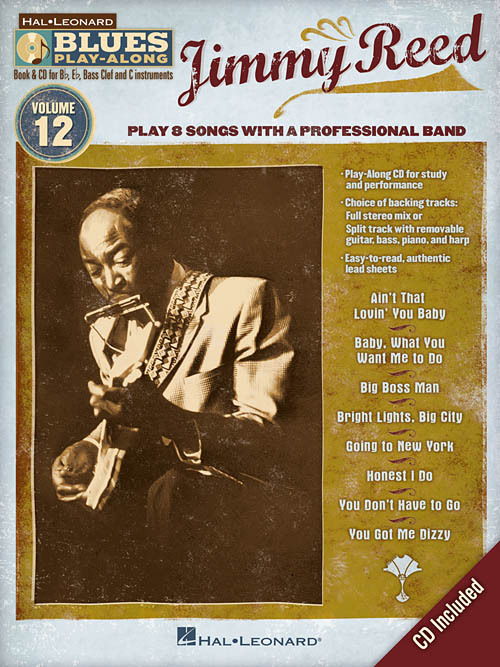 For use with all B-flat, E-flat, Bass Clef, and C instruments, the Hal Leonard Blues Play-Along series is the ultimate jamming tool for all blues musicians. With easy-to-read lead sheets and other split-track choices on the included CD, these first-of-a-kind packages will bring your local blues jam right into your house! Each song on the CD includes two tracks: a full stereo mix, and a split track mix with removable guitar, bass and piano parts. 8 songs: Ain't That Lovin' You Baby • Baby, What You Want Me to Do • Big Boss Man • Bright Lights, Big City • Going to New York • Honest I Do • You Don't Have to Go • You Got Me Dizzy.